Pleasant Lake is in Southeast Michigan, less than an hour east of Ann Arbor. This little town sits on the banks of Pleasant Lake, near the edge of the Waterloo State Recreation Area. Stay in a bed and breakfast and enjoy a wide variety of outdoor recreation. Waterloo Recreation Area spans more than 20,000 acres. It has 11 good fishing lakes, great sandy beaches, and almost 50 miles of trails for hiking, mountain biking, and horseback riding. In the winter, people come to Waterloo to cross-country ski, snowmobile, and ice fish (intrepid anglers don’t let a few feet of ice get between them and the fish). 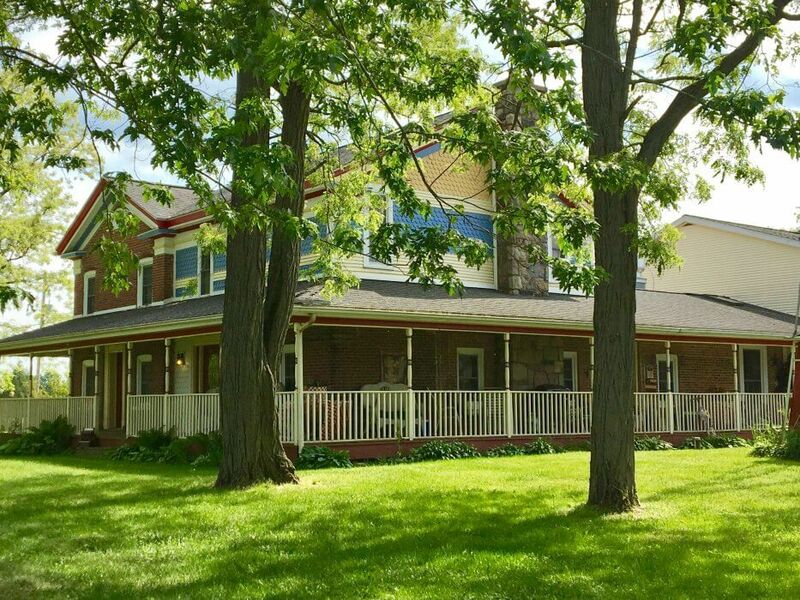 Guests of bed and breakfasts who head out to Waterloo benefit from the hearty, delicious breakfast served each morning. There are a number of linear trails in Southeast Michigan, most of which were once rail lines. The trails are a safe way to travel from town to town; some are dedicated biking/hiking trails, while others allow horses. In the winter, some allow snowmobiles, while others are non-motorized trails and are ideal for cross-country skiing. Ask any bed and breakfast innkeepers about the trails near their inn. They may suggest Falling Waters Trail near Jackson or Lakelands Trail State Park in Pinckney. Golfers should play a round at Hankered Hills Golf Course, in town, or drive to Ella Sharp Park Golf Course in Jackson to play one of the most challenging holes in Jackson County. Jackson is just ten miles from Pleasant Lake, and it has eight (yes, eight) golf courses. Stay at a bed and breakfast for a week and play them all. In fact, Jackson is a great town to visit while staying in Pleasant Lake. It hosts an incredible number of festivals and events throughout the year (over 100). One of the most beautiful is the Hot Air Jubilee, which launches over 60 colorful hot air balloons into the sky for three days. One of the most entertaining is the Michigan Shakespeare Festival in July and August. Get to know this interesting inland area of southern Michigan. It is certainly worth a trip to a bed and breakfast. Country hospitality near Ann Arbor and Jackson. Sixteen guest rooms in restored farmhouse and two newer buildings on four acres. Have a group? Dining room seats 50. Scratch cooking.